Lightly used keyboard. Excellent for learning, performing and arranging. Includes music rest, power adapter and owners manual. Yamaha Arranger Workstation Survival Kit - QTY 1. This kit contains an extended warranty, FC5 foot switch, stereo headphones, USB flash drive, and Steinberg’s powerful Cubase AI computer recording software. 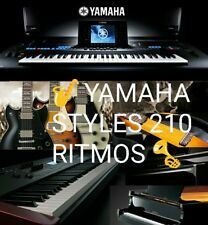 LEGENDARY AMAZING YAMAHA PSR 3000 ONE OWNER NEW CONDITION. JENTLY HOME USE. HEAVY DUTY BAG INCLUDED WITH AII THE MANUAL BOOKS. TO MUCH TO LIST ALL THE SPECTS. YOU CAN GET IT FROM THE WEB. RITMOS DE CALIDAD PARA TODO TIPO DE MÚSICA. con estos ritmos🔊 ahora puedes tocar 🎹en cualquier evento que desees🎶. 👀 EN LAS FOTOS 📷 ESTÁN ALGUNOS DE LOS RITMOS. 🎷 norteño banda,🎺. y muchos más🎹🔈🔉🔊. GENERATOR NOT INCLUDED . FITS YAMAHA EF3000IS INVERTER GENERATORS SINGLE LINE FEED. Many other Voices have also been enhanced for even greater realism. The Audio Link Multi Pad function enables you to link your own audio files (sound effects, vocal phrases, etc.) and trigger them from the Multi Pads as you play. Sweetwater is an Authorized Yamaha Dealer. Pedal Inputs 2 x 1/4" (sustain, articulation). Number of Keys 61. Effects Types Reverb, chorus, DSP, compressor, EQ, arpeggio. Free tech support from audio experts. Many other Voices have also been enhanced for even greater realism. Assignable joystick for more dynamic live performance. The Audio Link Multi Pad function enables you to link your own audio files (sound effects, vocal phrases, etc.) and trigger them from the Multi Pads as you play. 61-Key Arranger Keybaord. Other voices have also been enhanced for even greater realism. Assignable joystick for more dynamic live performance. The Audio Link Multi Pad function enables you to link your own audio files (sound effects, vocal phrases, etc.) and trigger them from the Pads as you play. RITMOS DE CALIDAD PARA TOCAR TODA LA MÚSICA QUE SEA ESTILO. con estos ritmos🔊 ahora puedes tocar 🎹en cualquier evento que desees🎶. 👀 EN LAS FOTOS 📷 ESTÁN ALGUNOS DE LOS RITMOS. BANDA Y NORTEÑO. 🎺 Balada Banda 🎺. RITMOS DE CALIDAD PARA TOCAR TODA LA MÚSICA QUE SEA ESTILO. con estos ritmos🔊 ahora puedes tocar 🎹en cualquier evento que desees🎶. MARIACHI, BANDA Y NORTEÑO. 👀 EN LAS FOTOS 📷 ESTÁN ALGUNOS DE LOS RITMOS. YAMAHA GENERATOR EF3000iSEB EXTENDED RUN FUEL CAP. 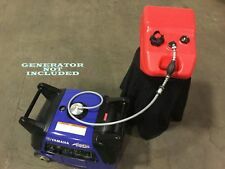 FITS YAMAHA MODEL EF3000ISEB GENERATORS. FREE Trial! VITON FUEL RESISTANT 1/8" CAP SEAL. Used YAMAHA AVENTAGE RX-A3000. The unit works great I just don’t have a need for it anymore. DOES NOT HAVE THE REMOTE there are signs of wear and use such as scuffs and scratches mostly on the top and sides as can be seen in pics. The front of the unit is in excellent condition. Please see pics as they are part of my description. Please ask questions prior to bidding or purchase. All sales are final with no returns and item is sold AS IS. IMPORTANT NOTICE TO OUR CUSTOMERS Customer satisfaction is very important to us. Please before you leave neutral or negative feedback contact us-we will do our best to resolve the problem. The bridge is the original for the BB3000. Fret: 0% (Fretless). Fretless processing is perfectly processed, no difference in level with the fingerboard, and there's almost no reduction on fingerboard.